Driven by her passion for people, Amy Edge co-founded Recovery Logistics, LLC (RLI) to help take the “disaster” out of disaster recovery. During her tenure as CEO, she secured the national disaster recovery contract for the largest cellular carrier in the world and grew the company to become the nationwide leader in business continuity and disaster recovery services. While CEO of RLI, Edge collaborated with top executives at Fortune 500 companies, including AT&T and Duke Energy, to pre-plan their storm recovery efforts. During major deployments, she led the staging operations and tracked millions of dollars in assets and thousands of people in the field. Amy interfaced with corporate executives, government agencies, first responders, and field engineers to establish seamless workflow processes during their network recoveries over multi-state regions in the United States. Now Edge brings her unprecedented experience in leadership management and her passion for people to organizations in need of shaping future leadership talent. Through her lessons learned, she guides management to plan, prepare, overcome obstacles, and build winning teams. 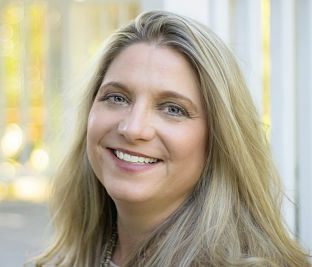 Her first book Secrets to Successful Business Engagements: Believe, Belong, Become is published by Chapel Hill Press and was released September 2016.